DIGI forming descending triangle pattern? Will it breakout resistance level? 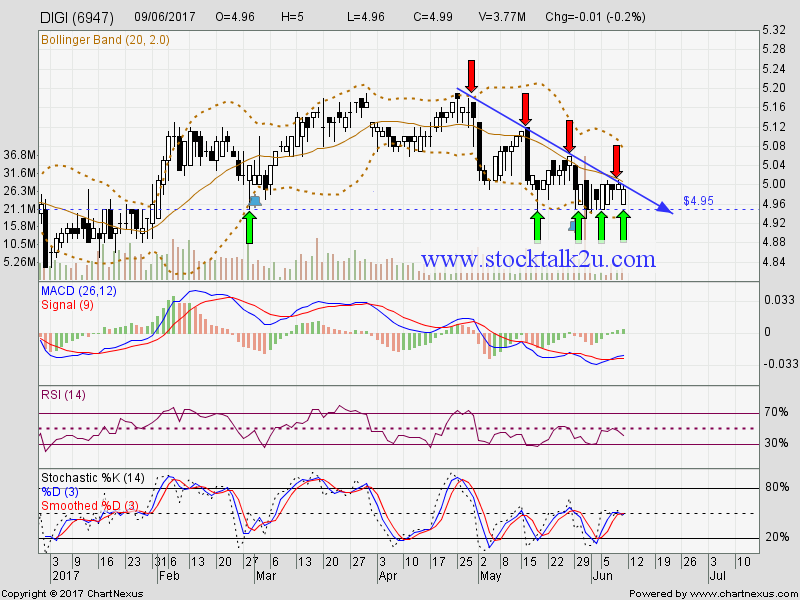 MACD trade negative region, downtrend sign. 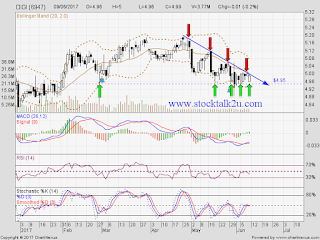 Immediate support @ RM4.88 level. Subsequent support @ RM4.80 level. Subsequent resistance @ RM5.05 level.